Happy October! Even though temps have (somewhat) dropped, we are still experiencing a heat wave during the day over here in Orange County. 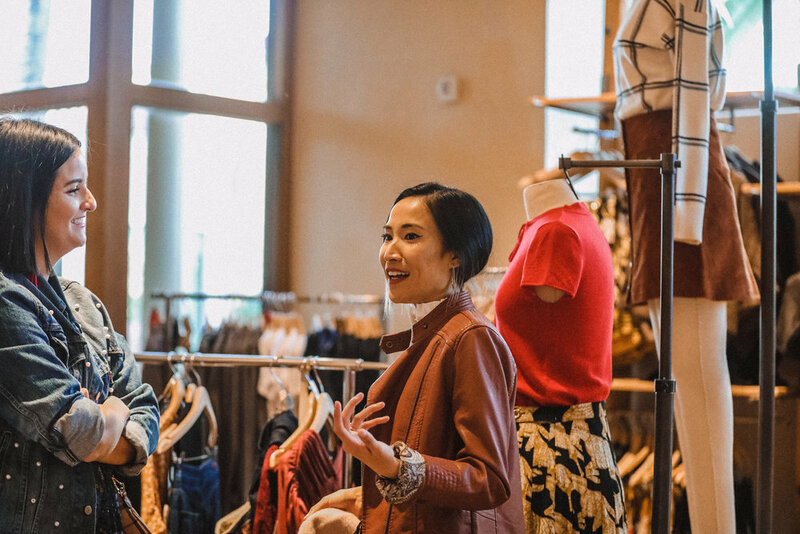 At the end of August, I had the wonderful opportunity of getting to talk about my favorite fall fashion trends at the Anthropologie Irvine Spectrum Center store - most items can be incorporated into your current wardrobe to help transition into “real” autumn. And apparently my inspiration for many of the looks was the “girl” that likes to go to happy hour, out to eat and get drinks or peruse a local farmer’s market. I’m so thankful for this opportunity and also for everyone that assisted in putting on this event as well as the guests that attended! 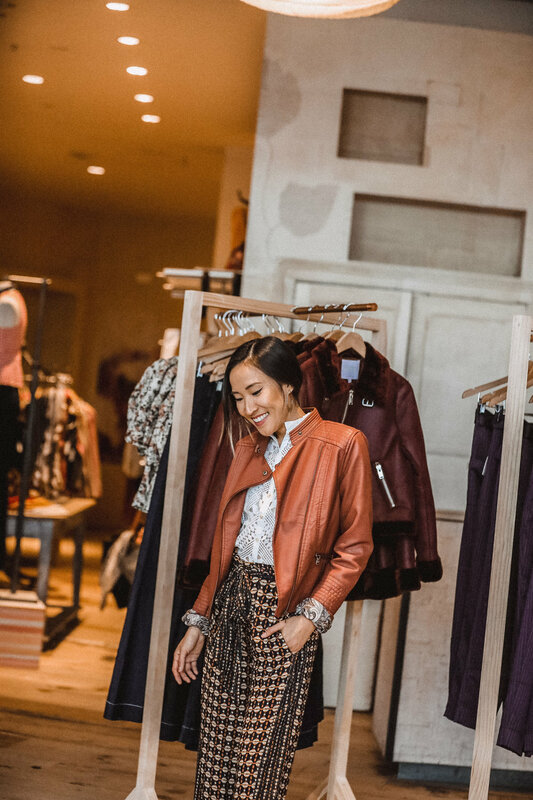 The outfit I wore for the presentation was borrowed from a mannequin look pairing the eyelet top with a pair of patterned pants; I completed my outfit with a faux leather jacket that matches the terracotta color in the pattern of the pants; and accessorized with a pair of silver earrings. 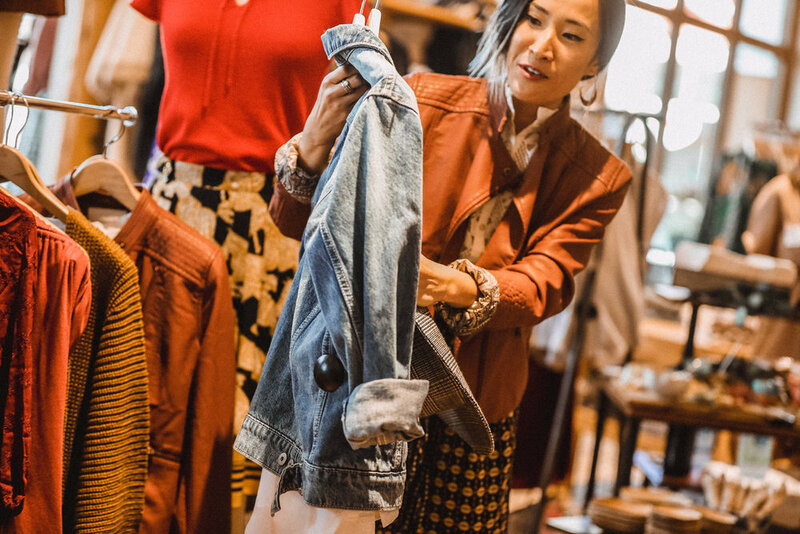 The jacket also has a nice pattern detail lining the inside of the jacket so when I rolled up the sleeves, you could see the paisley print peeking through. I can’t get enough of handkerchief scarves! 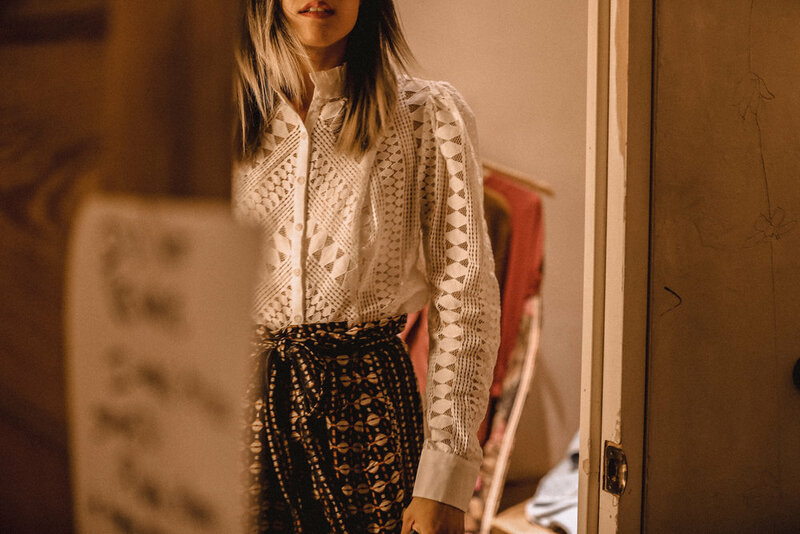 It’s such an effortless way to add a touch of color or pattern to your outfit. 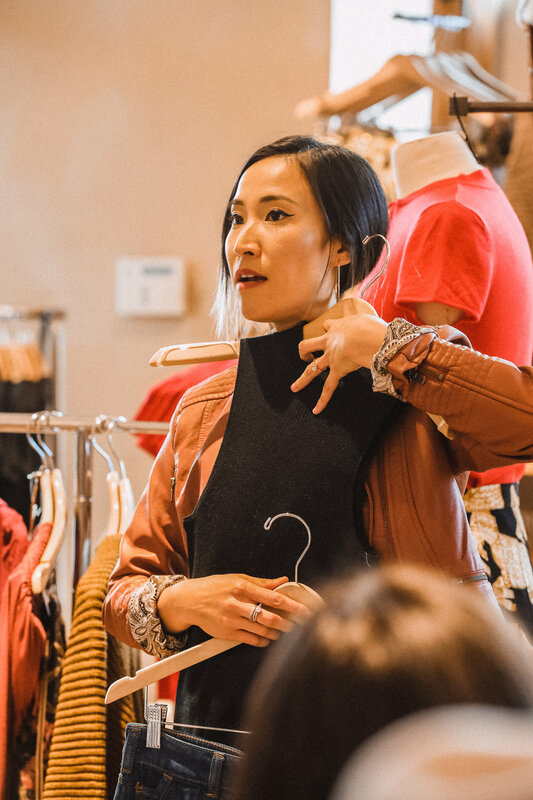 Tie a scarf around your neck, in your hair, on your bag strap or as a belt (Anthropologie even has pants that come with a scarf style belt included). 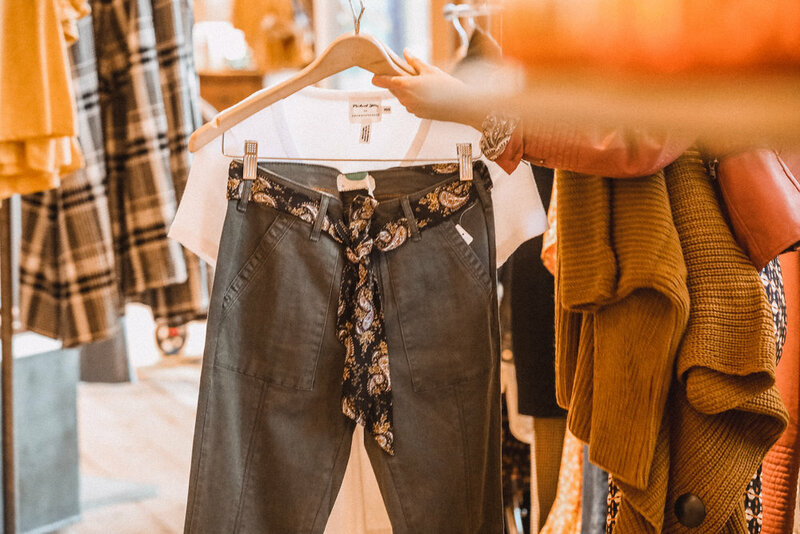 Ditch your usual denim or solid bottoms for a pair of patterned pants! Whether wide legged, chinos style or tailored trousers it’s an easy way to explore wearing prints/patterns. If you already dominate rocking printed pants, try your hand at print mixing!! My hat collection had increased ten fold leading into autumn because for this season I always start incorporating felt and wool hats into my look and there were so many hat styles that I’ve been attracted to that I’ve had to get my hands on in multiple colors and designs. 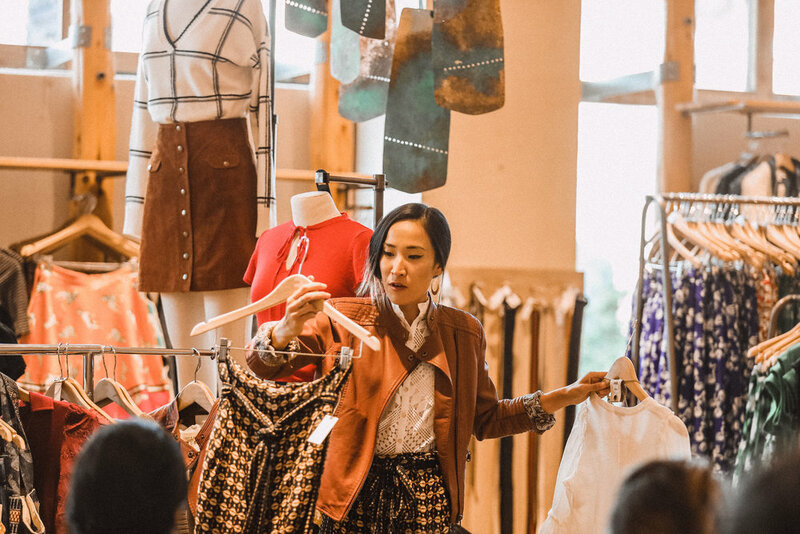 Recently I’ve been wearing fiddler/captain’s hats as well as berets, and of course, Anthropologie has all the latest styles and in an amazing array of colors, embellishments and patterns. Crisp air and crunchy leaves gets me craving wrapping myself up in cozy, chunky knit sweaters. Although I’m must too hot to wear sweater cardigans during the day, it’s perfect for the evening right now. 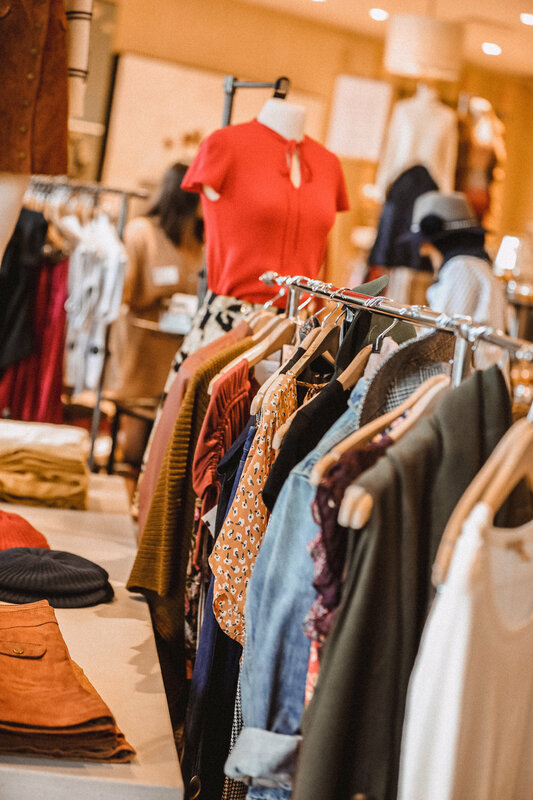 Without a doubt, you’ll be able to find a cozy sweater cardigan at Anthropologie - wear a neutral color, go for a jewel tone, or try an animal print (real popular this season). Photos taken by Bleudog Fotography. 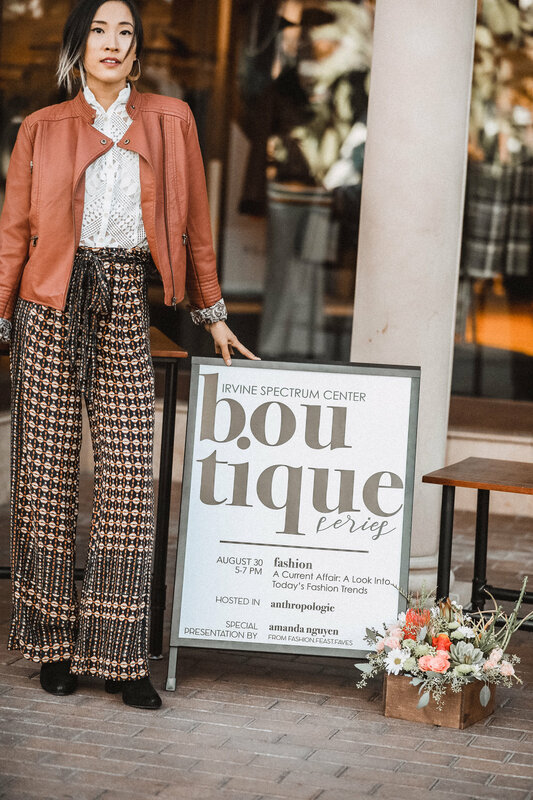 Amanda of Feast.Fashion.Faves was given monetary compensation to compose and publish this post as apart of a paid hosting/event campaign - all opinions expressed are of her own.